When Alexander Florio was scrolling through a dating app, he wondered why searching for employment couldn’t be as simple. So he created an app for it. Now Swob is helping young job-seekers to swipe their way to a place to work. Alexander Florio has a simple way of describing the tool he created. “It’s like Tinder for jobs,” he says, referring to the popular dating app. Florio’s app is called Swob, a mashup of swipe and job (swobapp.com). He started the company with his sister, Stephanie. Swob is aimed at the 15-29 demographic, and is designed to help them find jobs in high-turnover sectors like food and retail. Employers pay a fee to Swob to post their hiring needs. Job-hunters sign up and create their profile for free. They select the kind of job they’re seeking (e.g. by sector, location, full-time or part-time), and then, on their phone, they’ll see what’s available at that moment. Once there’s a match, people swipe right to apply. Their profile goes straight to the employer, who can filter candidates by age, experience and availability. So far, companies like McDonald’s, Tim Hortons, The Keg, Pizzaville, Ardene and Sleep Country are on board, and the list keeps growing. Swob started with job openings in Toronto and the GTA, but has plans to expand nationally. 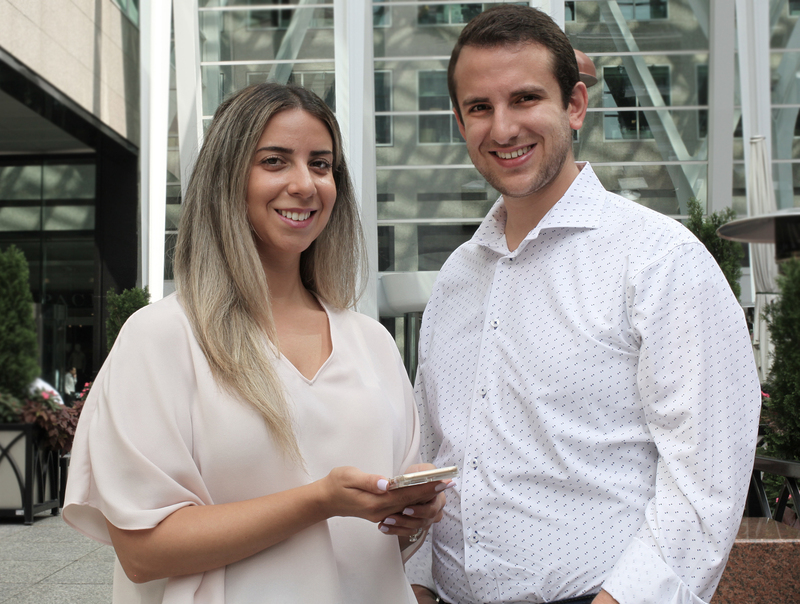 The company got a lift earlier this year when it won the first Canadian edition of Virgin Mobile’s #PitchToRich event. The contest has been held before in the U.S., U.K. and Mexico. For the Canadian contest, entrants had to pitch their mobile-related business idea via video. The idea just had to make users’ lives better. Out of thousands of entrants, the Florio siblings came out on top. They won $10,000 and, just as important to them, landed a mentorship meeting in Calgary with Virgin Mobile founder Richard Branson. The Florios invested their #PitchToRich winnings in advertising for Swob. The publicity from the event also led to new employers showing interest in signing up. Florio is 27 and his sister is 29. They both have marketing backgrounds, and before creating Swob worked in the advertising and PR fields. The genesis of Swob came when Florio found himself frustrated with his last job. He was working for a cool agency but wasn’t really enjoying his role. One day while scrolling through Tinder he got a brainwave: what if you could look for a job this easily? “I took a sticky note and on it wrote ‘Tinder for jobs’,” he says. The Florios got feedback from their intended target market, and approached a developer to work out the technical underpinnings of the app. They decided to leave their jobs in the spring of 2017 and go all-in on Swob. The company became active in November 2017. “If I didn’t do this now I probably never would,” says Florio.